Hot Water Pressure Washers clean grease & oil fast and with little effort! 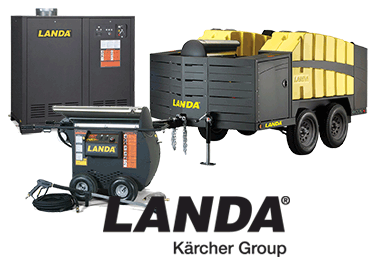 Commercial pressure washers come in either hot water or cold water models. A hot water pressure washer is perfectly suited for businesses that need to remove grease and oil from the surfaces you’re cleaning. A hot water power washer quickly reaches temperatures of 212°F to cut through grease instead of only pushing it around, like a cold water model would do. Just like washing dishes in the sink, hot water breaks down greases and oils really quickly. If you’re cleaning heavy equipment, parking garages, hydraulics, restaurant equipment or anything else with a greasy, oily residue, a hot water pressure washer is a must have. Savannah Cleaning Systems has over 37 years of experience in matching the right hot water pressure washer for the job. Hot water washers come in two power types, choose between electric or gas engine. Next, select between portable or stationary models depending on where you’ll be cleaning. 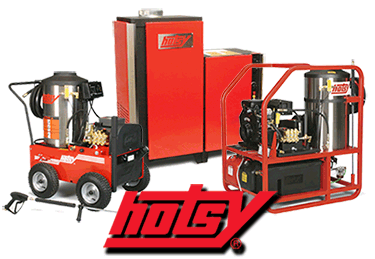 Hot water washers can be mounted on a truck, trailer or in a van for commercial cleaning. The great thing about working with Savannah Cleaning Systems is you don’t need to worry about making these choices on your own. Our expert sales staff will help you look at the options available, narrow your selection and help you to make the right choice based on what and where you’re cleaning. The choice can be overwhelming, so we’d be happy to provide a free demo to help narrow your choice. Located in Savannah, GA, we provide hot water pressure washers along the Golden Isles Coast to the lower area of South Carolina Contact us today!